The ACF numbers around 45,000 cadets (aged 12-18) and 8,500 adult volunteers in 1,700 locations across the UK. It is one of the country’s largest voluntary youth organisations. It is also one of the oldest and celebrated its 150th anniversary in 2010. It accepts boys and girls from the age of 12 of all abilities and backgrounds. The intention is to help them develop physically, mentally and socially through exposure to a broad range of activities. Some of the activities have a military theme, others have more of a community focus and all seek to provide challenging and educational development in an exciting and adventurous setting. The ACF seeks to offer young people a unique blend of personal development opportunities, all designed to promote fun and friendship while also helping them prepare for success in their chosen path in life, whatever that might turn out to be. 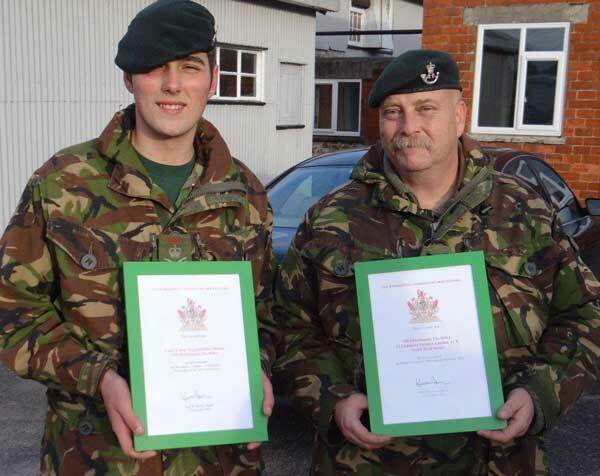 The Master’s Commendation for an outstanding contribution by an Adult Instructor or Officer during the year. The Master’s Award for the ‘Detachment of the Year’ to reflect participation and achievement in the community in areas such as fund raising & support for other charities; the Duke of Edinburgh Award scheme or vocational training. We also look for opportunities to showcase the Cadets through their participation in some of our events.